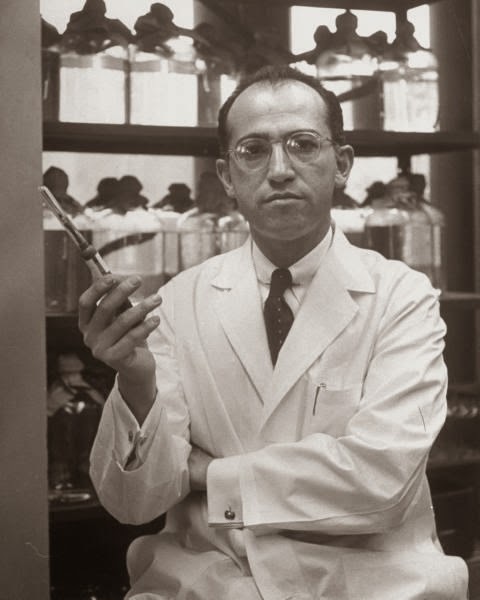 INFORMATION-EDUCATION Dr. Jonas Salk : How many of us know this guy? Dr. Jonas Salk : How many of us know this guy? Well before you go on to find who he is, first thank him. Thank him for what? for saving your life. If he had patented the vaccine, he would have been a very rich man but millions of poor children would have been deprived of the life saving vaccine. When he was asked in a televised interview who owned the patent to the vaccine, Salk replied "There is no patent. Could you patent the sun?". The world celebrates Bill Gates, Steve Jobs, etc for giving us high tech gadgets, but here is a man who has saved many of our lives but we don’t even remember him now, how sad. Do you have a story, photo, suggestion, complains or comments for us? Send in your entry rahs@gmail.com and we will feature the story with your name.